An employee handbook is an instrument that is widely used by employers to communicate their expectations and policies to employees. There are many reasons to develop and distribute an employee handbook. These written documents enable employers to clearly outline what is expected from employees and what employees can expect from the employer. In the event of a dispute with an employee or in the event that a claim is made with a government agency, the handbook can be invaluable in protecting an employer’s position. The limited liability company (LLC) is a type of business structure that offers business owners both the liability protection of a corporation as well as the tax benefits of a partnership or sole proprietorship. A limited liability company consists of one or more owners (called “members”), who often actively manage the company’s business affairs. LLCs are relatively simple to establish and operate, and offer flexibility and other advantages to its owners. The type of entity that is best for your business depends on many factors. This decision can have a significant impact on the business's future profitability and growth, its tax liability, and the level of asset protection afforded to its owners. Below is an overview of the most common business structures. Mergers bring two businesses together into one, and the combination should benefit both businesses. Merging companies will often be comparable in size. This differs from an acquisition, which typically involves a larger company absorbing a smaller one. An ideal merger will increase revenue and reduce overhead. Combining two companies should help eliminate duplicate costs such as rent for office space and budgets for marketing, accounting services and other business expenses. 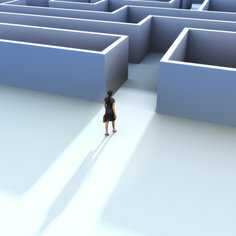 At the same time, a merged company should be reaching more customers with expanded services. Individual companies that reached different markets benefit from joining forces and increasing their client base. Restrictive covenants are contractual agreements. Usually, an employer includes restrictive covenants in an employment agreement seeking to restrict a departing employee in some way. Examples of restrictive covenants include non-compete, non-solicitation and confidentiality agreements. Non-compete agreements typically feature a geographic limitation (do not open a competing business within 25 miles) or a time frame (do not work for a competitor until one year has passed). Courts have enforced non-compete agreements when they were necessary to protect an employer's trade secrets or confidential customer information. As with any restrictive covenant, examining a non-compete provision is very case-specific and enforceability will depend upon the particular circumstances. Non-solicitation agreements restrict an employee from soliciting business from his or her former employer's customers. A non-poaching covenant seeks to prevent the departing employee form soliciting other employees to also leave the company. Confidentiality provisions usually define types of information that a former employee cannot possess or use, such as customer lists, sales data, marketing materials and other business plans. These provisions typically do not expire. Restrictive covenants are generally disfavored by New York courts, but they can be viewed less critically when an employee agrees to a restrictive covenant in exchange for post-employment benefits such as a severance package. If an employer breaches the employment agreement, however, courts may not enforce any restrictive covenant contained in the agreement. Courts can review restrictive covenants to determine whether the restrictions imposed are fair and enforceable. Factors to be considered include whether the restraint protects a legitimate interest of the employer, whether the restraint imposes an undue hardship on the employee and whether the restraint is harmful to the public. Courts can modify the restrictive covenant ("blue pencil" it is sometimes called) or reject it entirely. The more narrowly drafted a restrictive covenant is, the more likely it is to be considered enforceable. Employers doing business in more than one state often include a choice-of-law provision in their contracts. Sometimes, however, a New York court might reject another state's restrictive covenant law as contrary to New York's public policy. Whether you want a contract drafted for your business, or another party is asking you to sign a contract, arbitration clauses deserve your attention. 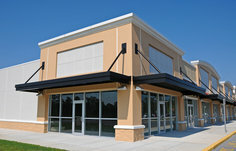 Arbitration clauses are designed to have legal disputes resolved outside of court, through arbitration, which is a common alternate dispute resolution method. A neutral person, called an arbitrator, hears arguments and evidence from each side and decides the outcome. Generally, arbitration is less formal than a trial and the rules of evidence are typically relaxed. Parties can agree to binding arbitration, where the arbitrator's decision is accepted as final with no right to appeal, or non-binding arbitration, where the parties can request a trial if they do not accept the arbitrator's decision. While companies often view arbitration as less expensive and less time-consuming than traditional litigation, and see arbitrators as more business savvy and less likely to be biased against them than a judge or jury, there are potential downsides that should be thought through. For example, it can sometimes be easier for a claimant to proceed with a frivolous claim than if the matter was litigated in court, where a motion to dismiss must include facts sufficient to state a plausible claim. In contrast, arbitrators are sometimes disinclined to dismiss a case before discovery and a hearing. Arbitration clauses can be modified to be more favorable to your business, so it is important when drafting a contract that you understand the language being agreed upon. 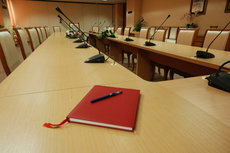 It can be helpful to add details about the location of the arbitration, the scope of arbitration, including whether discovery and document exchange will be allowed, whether a panel of arbitrators should decide the case versus just one arbitrator, as well as the manner of selection of the arbitrator(s). Sometimes there are waivers associated with arbitration clauses, such as when a party waives the right to join a class action lawsuit. 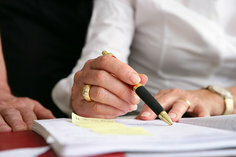 Often, costs are assigned through arbitration clauses. For example, it can be agreed that the losing party pays the cost of arbitration plus the costs of the winning party. Generally, arbitration proceedings can be kept confidential. To be fully effective, language that allows the arbitration award to be enforced in court is important. With a proper buy-sell agreement, all business owners are protected in the event that one of the owners wishes to leave the company. The buy-sell agreement establishes clear procedures that must be followed if an owner retires, sells his or her shares, divorces his or her spouse, becomes disabled, or dies. The agreement will establish the price and terms of a buyout, ensuring the company continues in the absence of the departing owner. Funding - How will the departing owner be paid? Many business owners will obtain insurance coverage, including life, disability, or business continuation insurance on the life or disability of the other owners. With respect to life insurance, the agreement may provide that the company redeem the departing owner’s shares. Alternatively, each of the owners may purchase life insurance on the lives of the other owners to provide the liquidity needed to purchase the departing owner’s shares (a “cross purchase agreement”). The agreement may also authorize the company to use it’s cash reserves to buy-out the departing owners. Regardless of the size of the business, companies must observe all of the required corporate formalities. Meeting minutes document the decisions made by the company’s governing board, and help to preserve the “corporate veil” in the event of a lawsuit. If corporate formalities are not observed, the business's owners' personal assets may be at risk. One such formality is the maintenance of a corporate record book containing minutes of meetings conducted in accordance with the company’s governing documents, such as the bylaws or operating agreement. Every major decision that affects the business should be approved and ratified by a resolution of the governing board contained in the corporate records. Even in a one-person company, resolutions should be drafted, signed and maintained with the corporate records.